WOOI is the brand of ECOH MEDIA specialized in online and offline digital communication. WOOI web agency is your partner for global communication on new media. It works for companies wishing to communicate effectively to find new customers and differentiate themselves from competitors. WOOI follows the entire project from concept through the design of graphical interfaces and implementation with enterprise technologies, search engines indexing, and integration with social networks and offline communication. launched by the Ministry for Economic Development and the Italian Trade Commission (ICE) to promote abroad the italian excellence in the international contract market. 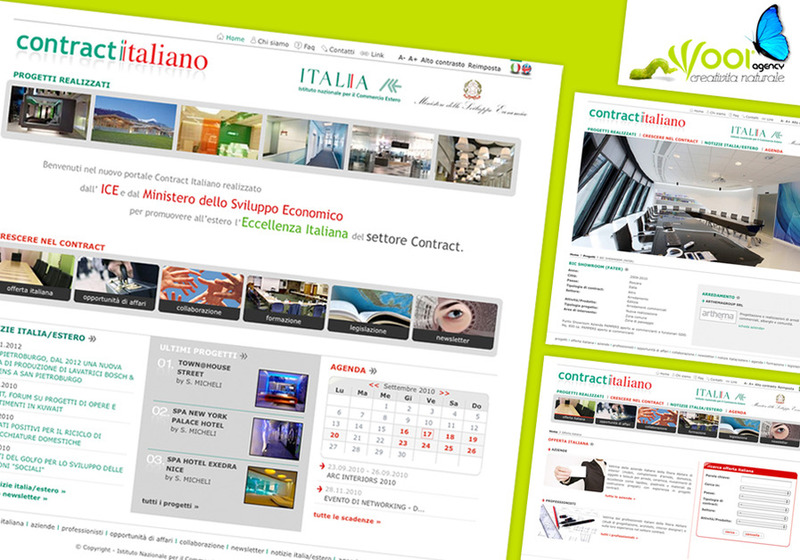 The web portal represents an online showcase for the italian interior companies but it’s also a professional tool to increase Italian business opportunities in the international contract market (interior and turnkey integrated supply). Conceived for Italian and foreign users, it has a double browsing path: a visual path with an updated list of contract projects made in Italy, and a operative path with a landscape of business and collaboration chances, news and events.